Star Wars: The Last Jedi may be taking the box office by storm this holiday season, but fans are already looking forward to what they can't wait to see in 2018. And it looks like the movie fans want to see the most is the upcoming Avengers: Infinity War. According to IMDb (via Business Wire) fans can't wait to see what happens when Thanos shows up on Earth in search of the remaining Infinity Stones he needs to complete the Infinity Gauntlet. IMDb determines their most-anticipated rankings based not on statistical samplings of professional reviews but on "the actual page views of the more than 250 million monthly unique visitors to IMDb." Avengers: Infinity War's top anticipation rating at IMDb matches up with ComicBook.com's own Anticipation Rankings. With a 4.38 out of 5 from 1657 users at the time of this article's publication, Infinity War beats out two other MCU films, Black Panther and the untitled Avengers 4, as numbers 2 and 3 on our list respectively. Interestingly, IMDb's list matches the ComicBook.com Anticipation Rankings with Black Panther taking the second spot on their list as well. IMDb users have the Deadpool sequel in their third spot, a film that comes in fourth on our list as it is not limited to just films releasing in 2018. Joining the Marvel films on IMDb's list are Jurassic World: Fallen Kingdom, Tomb Raider, Pacific Rim Uprising, The Predator, Ocean's Eight, Mission: Impossible 6, and Solo: A Star Wars Story. IMDb also released their top 10 movies of 2017 today as well with It taking the top spot followed by Wonder Woman and Beauty and the Beast. You can check out IMDb's complete list Best Of lists here. 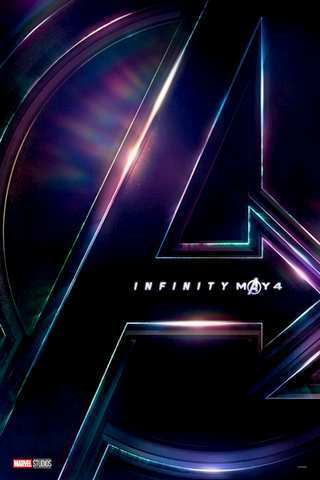 Avengers: Infinity War currently has a 4.38 out of 5 ComicBook.com User Anticipation Rating, making it the most anticipated upcoming comic book movie among ComicBook.com Users. Let us know how excited you are about Avengers: Infinity War by giving the movie your own personal ComicBook.com User Anticipation Rating below.